As reported by FRANCE 24, Di Maio, head of the populist Five-Star Movement (M5S), met near Paris with prominent Yellow Vest protesters. Italy’s Deputy Prime Minister Luigi Di Maio on February 5 travelled to France to meet “Yellow Vest” anti-government protesters. The French government was not impressed. “This new provocation is unacceptable between neighbouring countries and partners at the heart of the European Union,” a French foreign ministry spokesman said in a statement a day after Di Maio met the protesters on French soil. 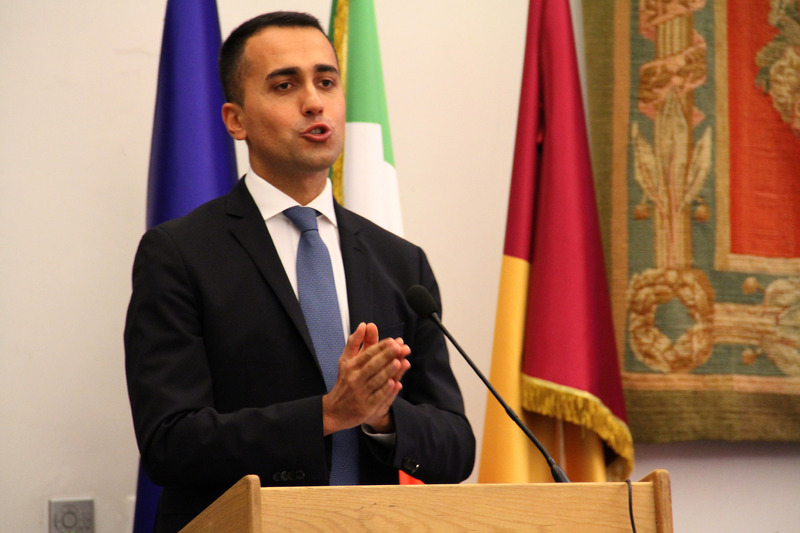 “Mr Di Maio, who has governmental responsibilities, should ensure that he does not impair with his repeated interferences our bilateral relations, in the interest of both France and Italy,” the spokesman said. As reported by FRANCE 24, Di Maio, head of the populist Five-Star Movement (M5S), met near Paris with prominent Yellow Vest protesters Christophe Chalençon and Ingrid Levavasseur, who is heading a Yellow Vest list for European Parliament elections in May. He invited them and other Yellow Vests to a follow-up meeting in Rome, claiming on Twitter that “The wind of change has crossed the Alps”. According to FRANCE 24, tensions have flared between the two countries since the Five-Star Movement and far-right League party came to power in a coalition in Italy last June. Di Maio had already drawn Paris’ ire last month after he accused France of fuelling the migrant influx to Europe by continuing to “colonise” Africa. That prompted France to summon Italy’s ambassador in protest. Adding to more tension, Matteo Salvini told Italian TV: “In Libya, France has no interest in stabilising the situation, probably because it has oil interests that are opposed to those of Italy”. In a Facebook post on February 6, he added: “I hope that the French will be able to free themselves from a terrible president”.